This celebrity style Malibu CA real estate by James Perse is a must for your luxury property search. 0 Zumirez is listed at just below $40 million, delivering outstanding comfort and attention to detail in a spectacular location. This Point Dume location is desirable and private, boasting endless Pacific Ocean views and private and peaceful landscaped outdoor spaces. The James Perse Residential Projects will not disappoint! This Point Dume estate offers 5 bedrooms, 4 full baths, and 2 partial baths on over 4,0000 square feet of living space. The open floor plan and clean lines emit a modern and comfortable vibe. The guest house offers additional space for family and friends and the grounds are designed for both relaxing and entertaining. This fabulous property is everything you expect from Malibu luxury real estate. James Perse is known for exceptional clothing, including the softest T-shirts around. His take on Malibu real estate is no exception, offering a cozy place to surround you and your loved ones. If you have been waiting for a luxury home in Malibu CA that offers privacy, ocean views, and amenities then look no further! Contact me, Judy Kunisaki, today for help with your Malibu property search. I welcome the opportunity to update you on market conditions while walking you through the buying process. Let my knowledge and experience help you locate the ideal celebrity style Malibu CA real estate for you and your family. 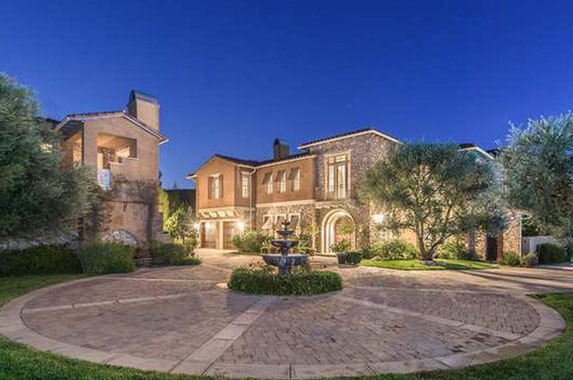 Calabasas CA is where to find a celebrity style home. After all, this is where the celebs seem to be moving these days. The Kardashians call Calabasas home. Beau Bridges lives here too. Of course there are a couple of musicians as well, including Drake and Miley Cyrus. Neighboring Hidden Hills is also a haven for celebrities who prefer living in a gated community. What is the appeal of Calabasas CA real estate for celebrities? Most of the neighborhoods in the city are gated, offering both security and privacy. Furthermore, many of these homes have more space – both inside and out. This means that there are plenty of amenities – inside and out! Celebrity homes in the Malibu CA area are exceptional, offering a respite from a hectic life. Nearby Calabasas boasts some exceptional properties and the lifestyle discriminating buyers are looking for. Space to live and space to enjoy friends and family. This includes space to be active and enjoy the weather, with swimming pools, tennis courts, and so much more! Contact me, Judy Kunisaki, today to learn more about Calabasas real estate. I welcome the opportunity to help you live like a celebrity, locating the right property to suit your needs and your lifestyle. Let my knowledge and experience serve as your guide to Calabasas and finding a celebrity style home. Friday, February 1, 10 am to noon, Computer Workshop at Malibu City Hall. The first Friday of every month the Malibu Senior Center hosts a 30 minute computer workshop to answer technology questions. The cost is $2, call 310-456-2489, extension 357, for more information. Tuesday, February 5, 5:30 pm, Malibu Chamber of Commerce Mixer at the Glamifornia Style Lounge. Come mix and mingle with local business professionals at the Glamifornia Style Lounge! Tuesday, February 5, 7:30 to 8:30 pm, Dance Lessons at the Michael Landon Center. Come lear everything from ballroom to western dancing. Class Fee is $20.00 per person and no dance partner necessary. Call MC at 760-238-1498 for more information. Wednesday, February 6, 9:30 am, Spring Garden Preparation at the Point Dume Clubhouse. Join the Malibu Garden Club for its February event. Curtis Thomsen will present Spring Garden Preparation. Curtis will discuss the restoration of Malibu properties after the fire, laying out your garden, composting, and efficient water usage. There is always something going on in our Southern California community. Get out and meet new people, make new friends, and try new experiences! Click here for more information on events in Malibu this month. 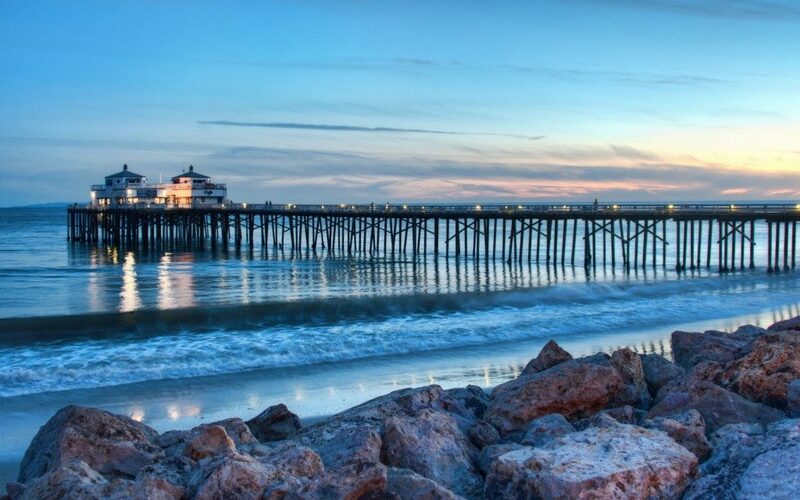 Contact me, Judy Kunisaki, to learn more about Malibu CA real estate opportunities. I welcome the opportunity to get you up to speed on the market while helping you get to know the area. Let my knowledge and experience serve as your guide to Malibu CA events and activities as well as the local real estate market. Buying Malibu CA celebrity homes is easier when you can find the right REALTOR. A REALTOR will help you pin down your priorities and help you locate the ideal home for you and your family. Furthermore the right Malibu REALTOR will have access to an entire network of real estate professionals and access to pocket listings that might reveal opportunities that you would otherwise not be exposed to. Celebrity homes are a unique class of their own. Celebrity homes need to not only offer amenities but also privacy, serenity, and security. An experienced Malibu CA REALTOR understands the need for privacy, for both seller and buyer. Additionally, an understanding of location is critical. Buyers need to understand their needs. While this may sound easy it can often be overwhelming. Making a list of the required number of bathrooms, bedrooms, additional rooms (office, media, workout, etc.) as well as size is helpful. A list of criteria can help narrow down the Malibu property search and help buyers end up with a list of homes that will suit their needs. Contact me, Judy Kunisaki, today to learn more about celebrity homes in Malibu CA. I welcome the opportunity to help you locate the home of your dreams. Let me get you up to speed on market conditions and available listings. My knowledge and experience can serve as your guide to buying Malibu CA celebrity homes and Malibu CA real estate. Malibu CA events and activities for January 2019 lend themselves well for New Years Resolutions. Get healthy, stay healthy and try new things! There is always so much to do in the Malibu area. Whether you want to walk the beach, take a surf lesson, go for a hike, or learn to cook something new you can do it, with or without an organized activity. January 6, Sunday (and every Sunday), 10 am to 3 pm, Malibu Farmers Market at the Malibu Library Parking Lot. Start your new year with healthy, locally grown food. January 8, Tuesday (and every Tuesday), 7:30 to 8:30 pm. Community Dance Lessons hosted by the City of Malibu at the Michael Landon Center. Learn ballroom, swing, and the tango among other types of dance. The cost is $20 per class. Singles and couples welcome, please RSVP by calling 760-238-1498. January 27, Sunday, 8:30 and and 10 am, Malibu Lagoon Field Trips and Malibu Lagoon Field Trips: Family Birdwatching Walk. Enjoy the natural environment. Soak in the beauty and learn about this special place in Malibu. Of course not everything is on a calendar and you can make your own. For information on hikes in and around Malibu click here. Maybe you want to explore the beaches or try a horesback ride. There are so many things to do in Malibu! Contact me, Judy Kunisaki, today to learn more about Malibu real estate and the Malibu community. I welcome the opportunity to update you on current market conditions while helping you get to know the area like a local. Let my knowledge and experience serve as your guide to Malibu. Happy New Year, get out an enjoy Malibu events and activities this month! Malibu CA real estate affords you the opportunity to live like a celebrity. you the opportunity to live like a celebrity. Whether you want to be beachfront, on a bluff overlooking the ocean, or perhaps on a ranch property, there is a dream home to meet your every need and desire. This Malibu home for sale, 11846 Ellice Street, is an example of a home that has it all. provides security and exclusivity. While the location is exceptional, the architecture and construction are superb offering and unparalleled sleek modern design. The open concept layout is perfect for entertaining, as is the chef’s kitchen. The kitchen is eye catching and the waterfall island offers a seamless transition into the living area. This 7 bedroom, 11 bath home features the amenities one would expect from a celebrity home in Malibu CA. An infinity edge swimming pool, gym, guest house, home theatre, billiard room tub, roof top putting green, and outdoor cabanas create a resort style environment that truly helps you escape from it all. Of course I the private beach is the highlight, offering endless ocean views! 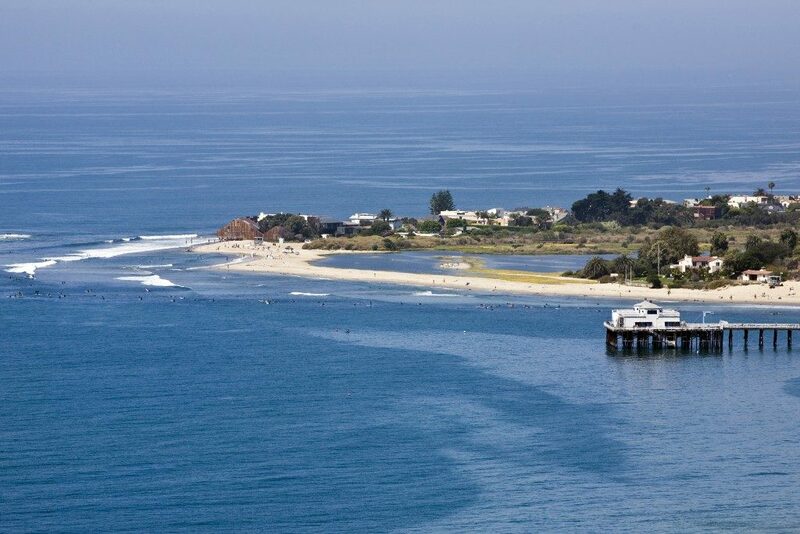 Contact me, Judy Kunisaki, today for help with your Malibu CA property search. I welcome the opportunity to update you on market conditions while helping you choose homes that best suit your needs. Let my knowledge and experience serve as your guide to Malibu CA real estate. Activities in Malibu CA this December include everything from yoga and dance to community breakfast and acting camp for kids, there is something for all ages and all abilities. There is always something to do in our coastal community. The Malibu CA community offers an active lifestyle as well as plenty of opportunities to become a part of the community. December 2, Sunday, 9 to 10 am, breakfast at Malibu Presbyterian. Malibu Presbyterian Church hosts breakfasts on Sundays. December 3, Monday, 7:15 to 8:15 pm, Community Dance Lessons hosted by the City of Malibu at the Michael Landon Center. Learn ballroom, swing, and the tango among other types of dance. The cost is $20 per class. All ages welcome, please RSVP by calling 760-238-1498. December 3, Tuesday, 4 to 5:30 pm, Beach Volleyball at the Annenberg Community Beach House for kids 7 to 15 years old. Play beach volleyball all month long on Tuesday and Thursday afternoons. December 6, 13, 20, and 27, Thursdays, 4 to 5 pm, Acting Camp for kids ages 4 to 10. Gan Malibu hosts Superhero and Princess Acting Camp for children at 22933 Pacific Coast Highway. 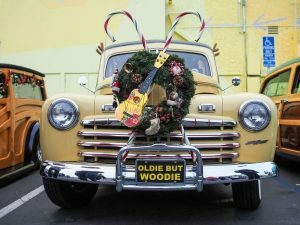 December 9, Sunday, 2 pm, 15th Annual Malibu Christmas Woodie Parade at Malibu Village. This fun events kicks off with the start of the parade in Paradise Cover and is followed by a celebration at Malibu Village from 3 to 5 pm. Come see the most beloved, classic Woodie cars lining the streets of Malibu. This month promises to be one that gets the community outside and supporting one another. Take advantage of all that is happening and enjoy spending time with your Malibu friends and neighbors. Contact me, Judy Kunisaki, today to learn more about Malibu CA real estate. I welcome the opportunity to update you on current market conditions while helping you get to know the area. I am happy to answer your questions and serve as your guide to buying and selling homes in our unique community. I hope you enjoy the activities in Malibu CA this December! Looking to buy Malibu celebrity real estate? This fabulous ranch owned by a cosmetic heiress is a gem. Kieihl’s heiress Jamie Morse Heidegger and her husband are selling this 25 acre horse property for a mere $25 million. The equestrian estate boasts spectacular views of the Pacific Ocean and so much more. If you are looking for a Malibu CA property that offers space look no further! This fantastic Malibu CA property for sale has fantastic horse facilities. You will find a state-of-the-art 9 stall barn, complete with Crestron cameras. The barn also comes equipped with showers for horses and a tack room. Of course the stables are fully equipped for humans too, complete with a lounge boasting ocean views and a full bath and changing area. The arena is computerized arena with turf-water springs from Austria, ensuring optimal riding conditions. There is a beautiful home just steps from the stables. 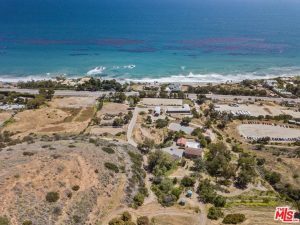 This Malibu property includes 15 acres of buildable land, a flat area designated for helipad, horse trails, an outage generator, and a recently renovated guest cabin. Additional amenities include a tennis court, koi pond, and two gated entrances off PCH. This Malibu compound is unique and a must-see for any horse-enthusiast or developer. Contact me, Judy Kunisaki, today for more information about buying Malibu CA real estate. I welcome the opportunity to update you on market conditions while getting you started on your property search. Let my knowledge and experience help you locate your ideal property, whether it is Malibu celebrity real estate, a development opportunity, or something different entirely.